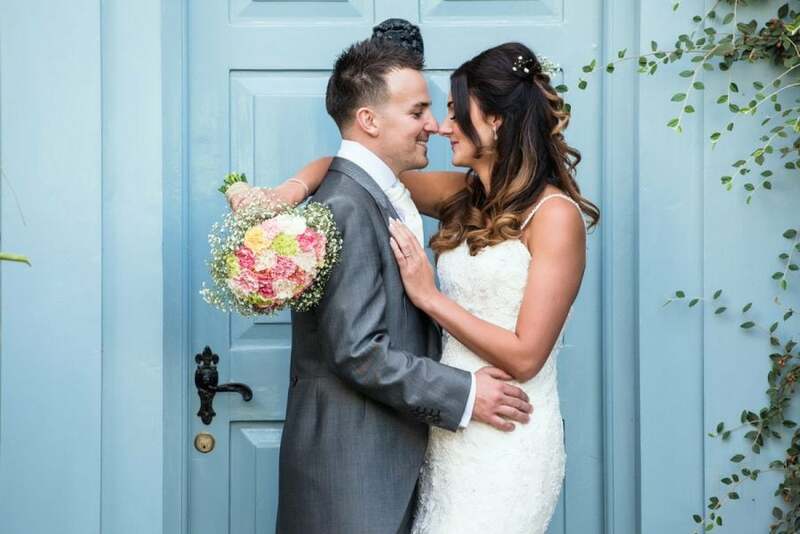 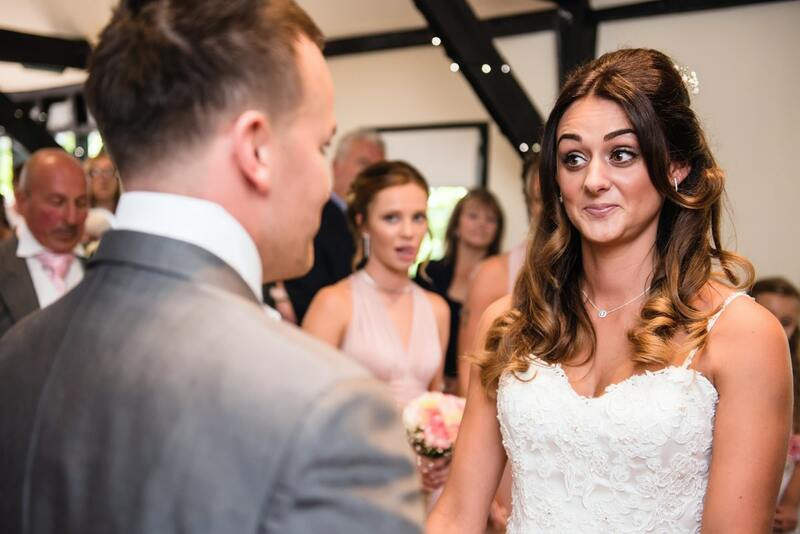 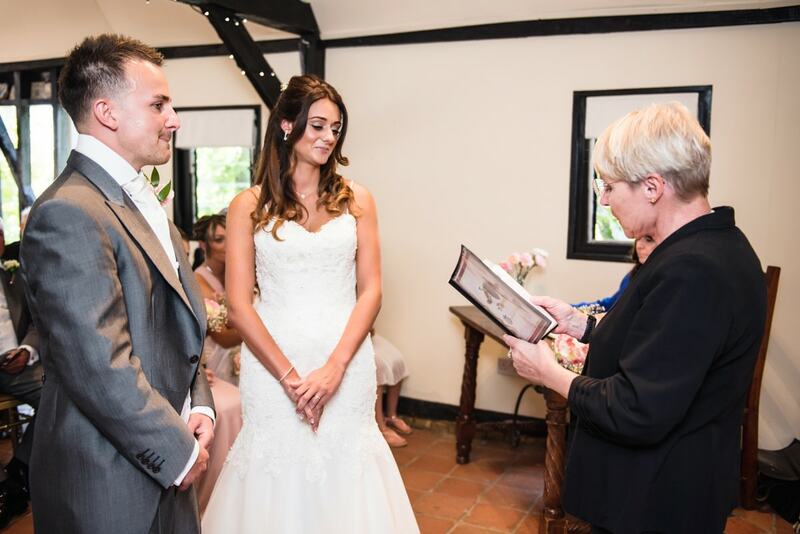 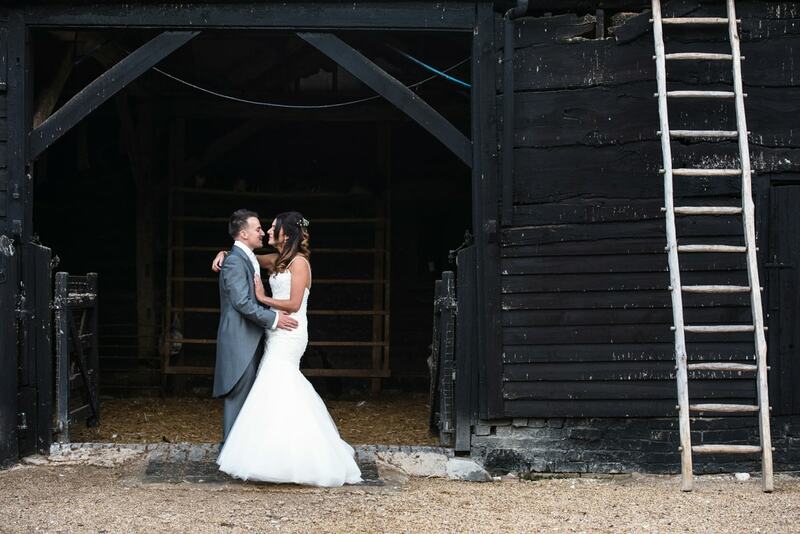 Leanne and Daniel got married at a stunning venue in Royston, Cambridgeshire called South Farm. 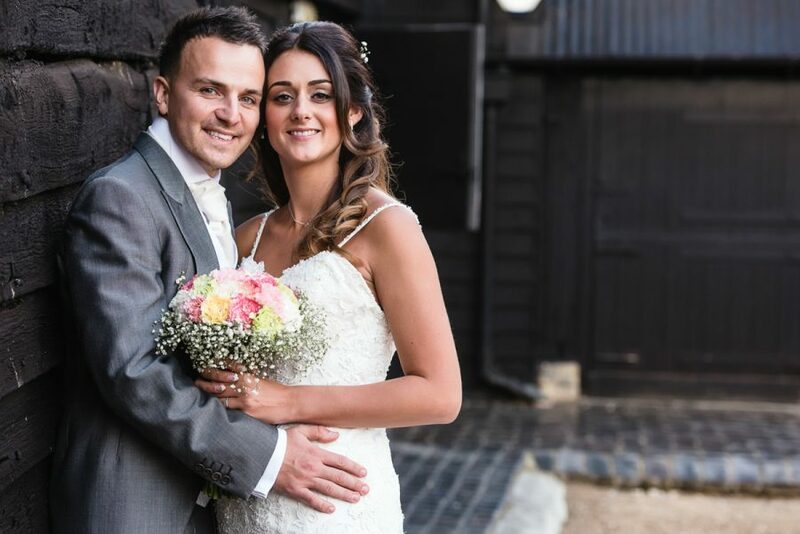 It was a wet October day but the sun came out just in time for the photographs so we were able to make use of the beautiful grounds. 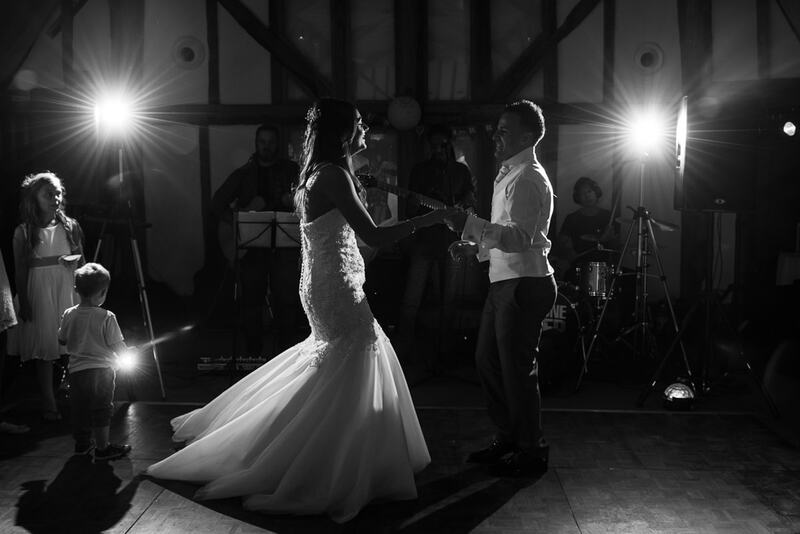 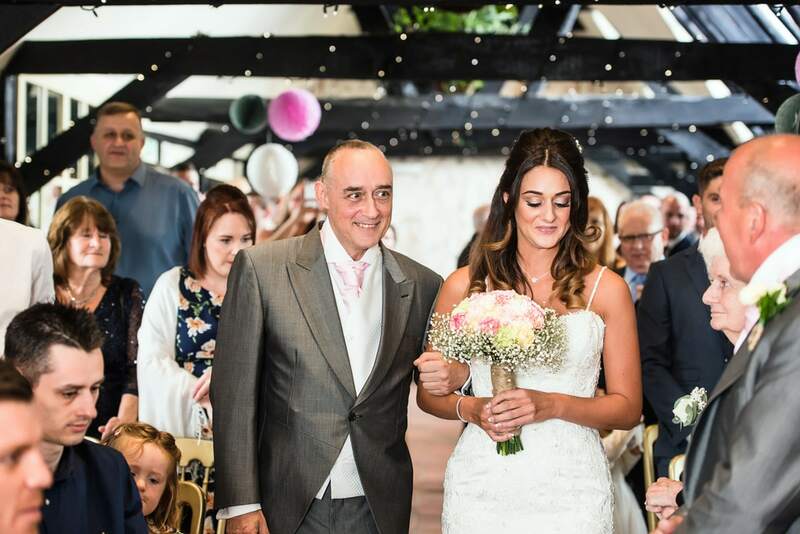 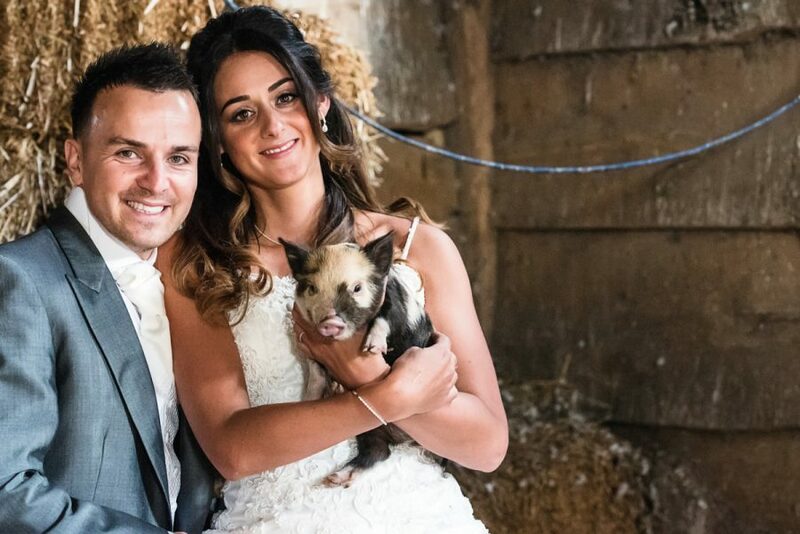 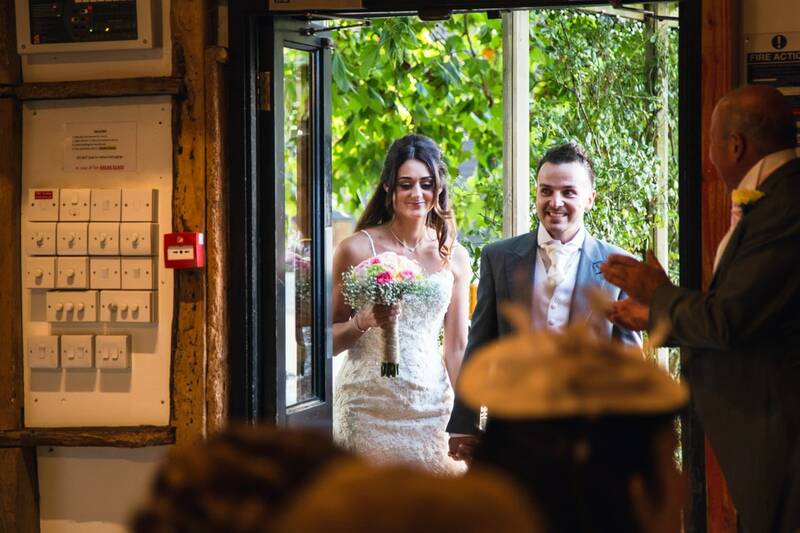 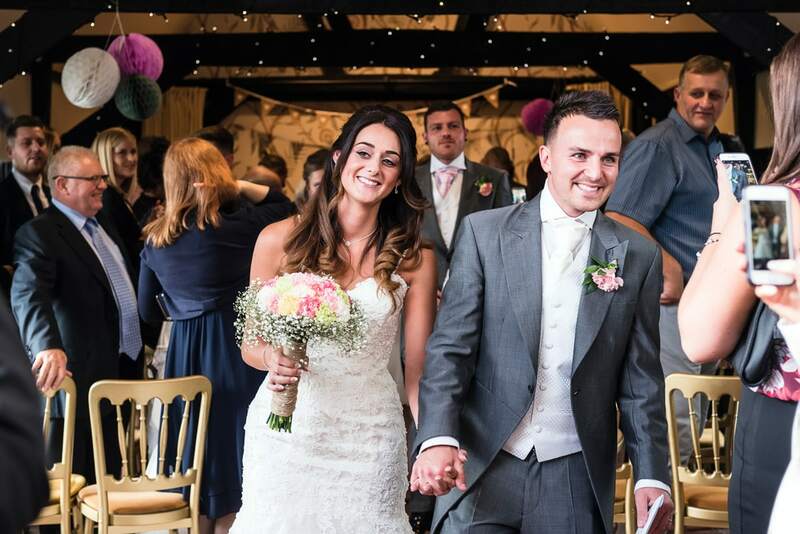 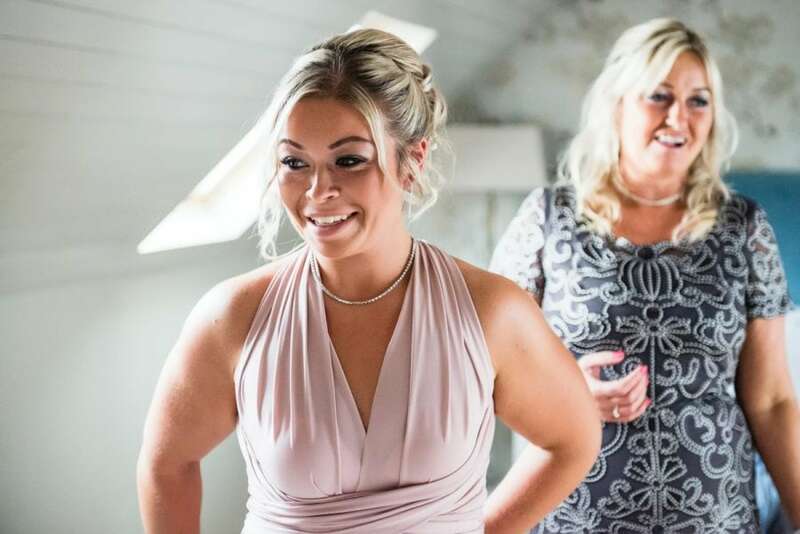 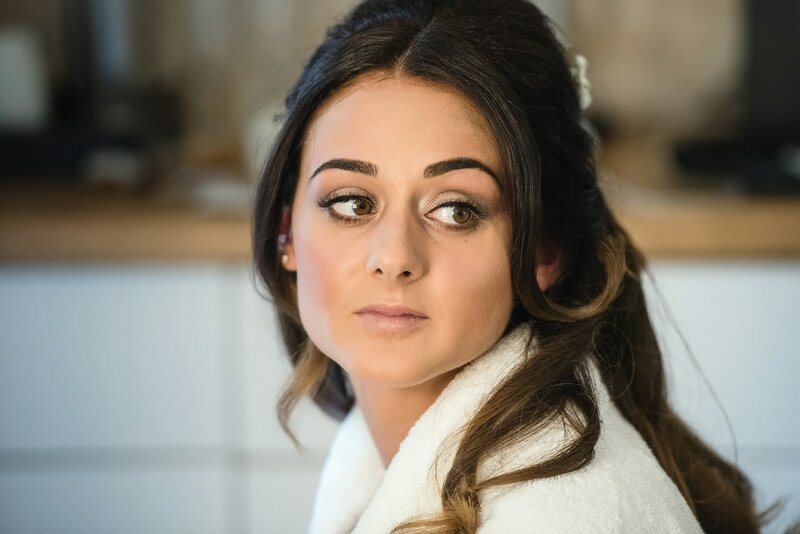 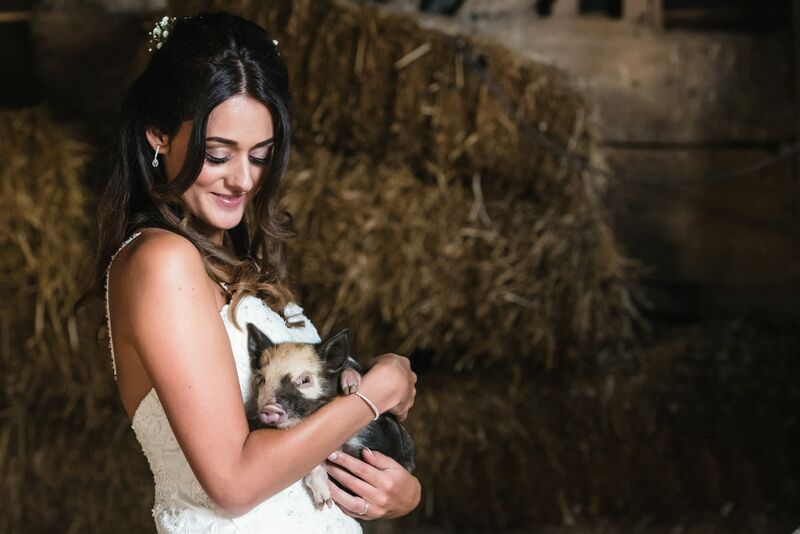 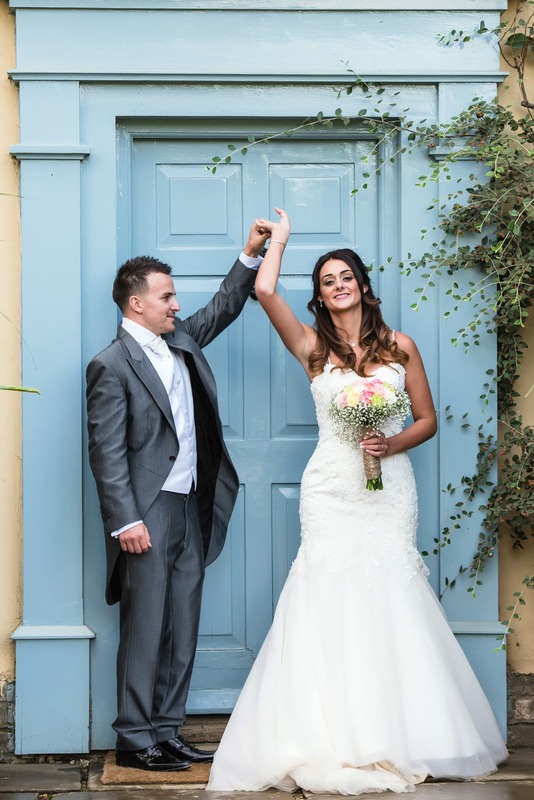 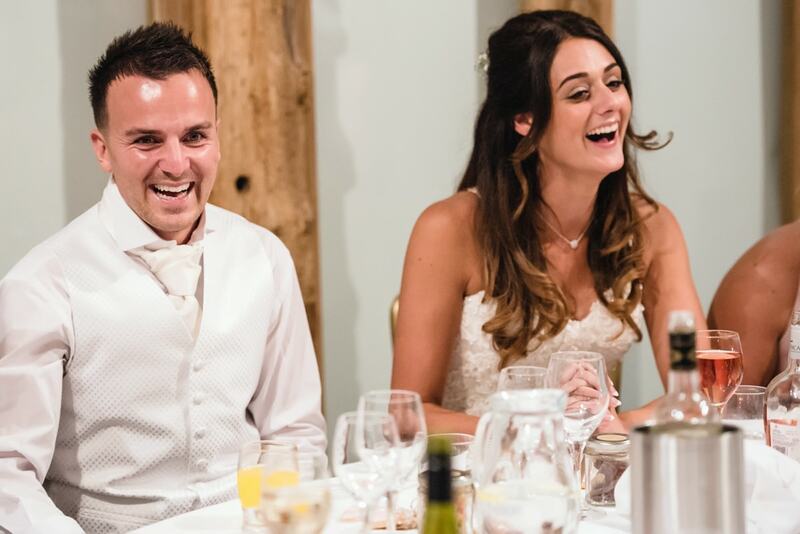 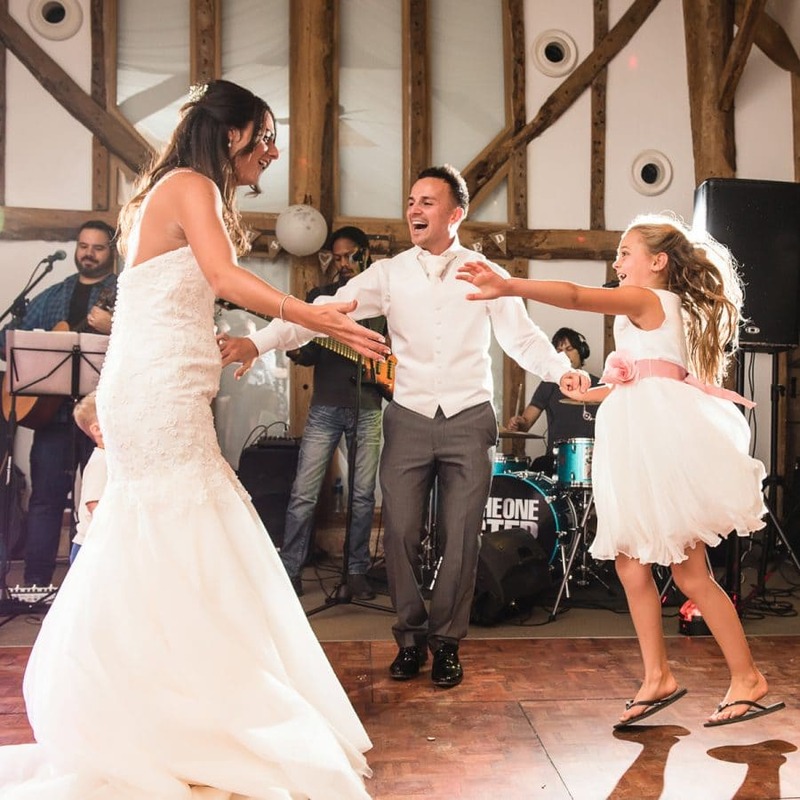 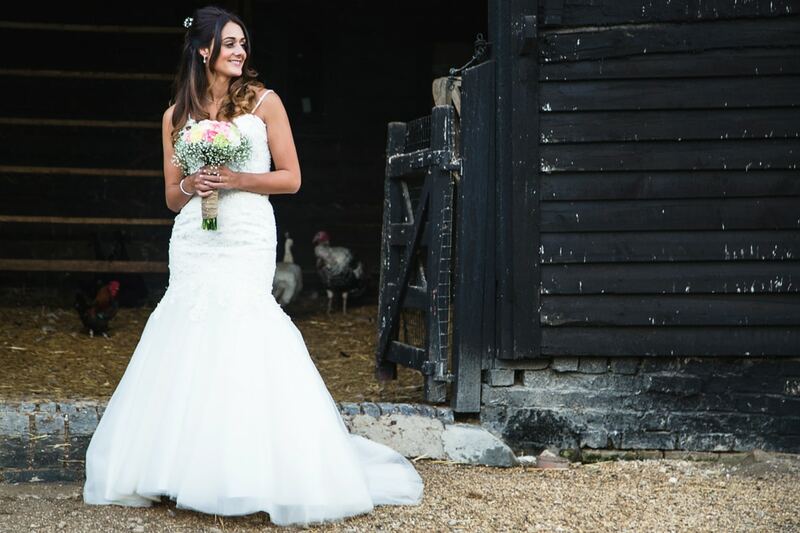 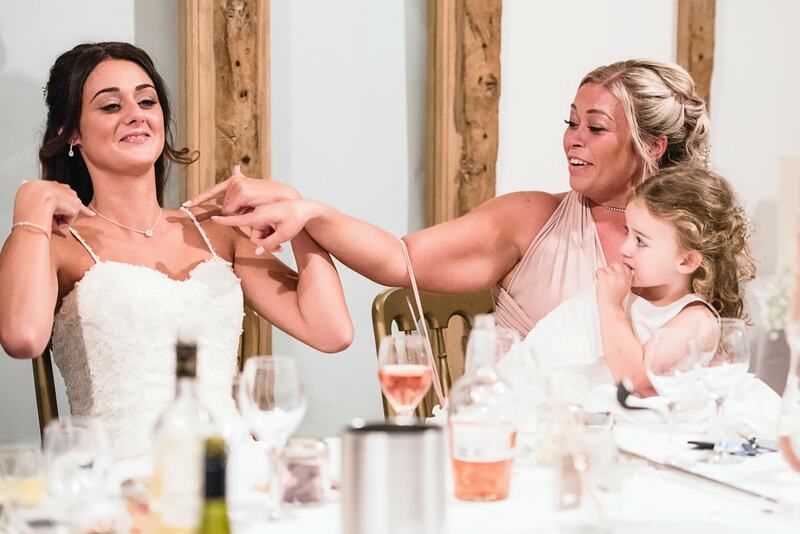 South Farm is a working farm which is one of the things Leanne loved about the venue. 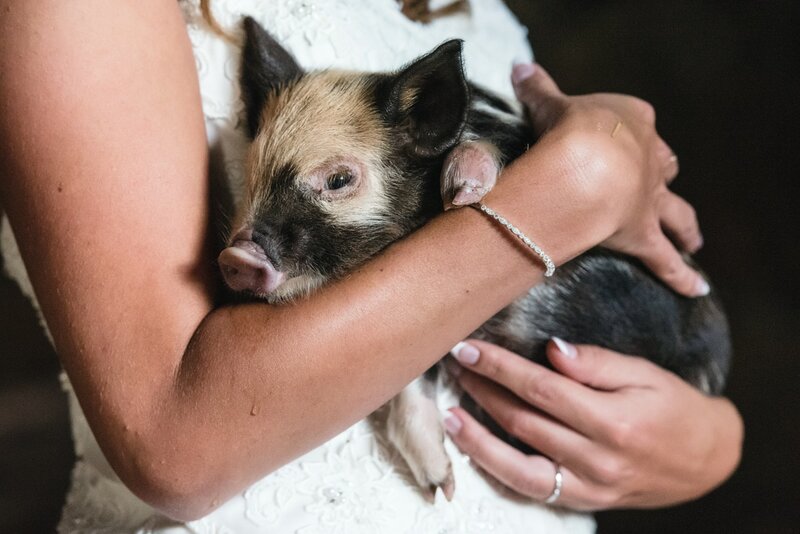 There were chickens, roosters and even little piglets! 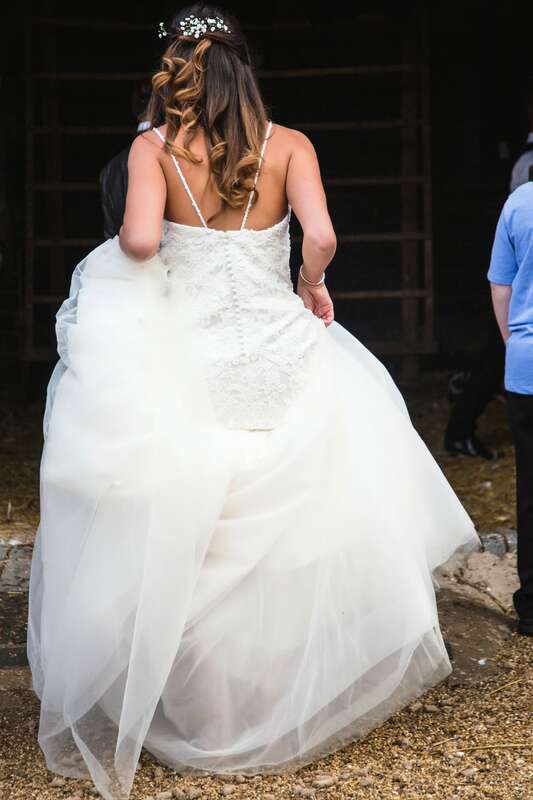 As soon as the bride saw them she couldn’t wait to pick one up and we got some amazing pictures in the barn. 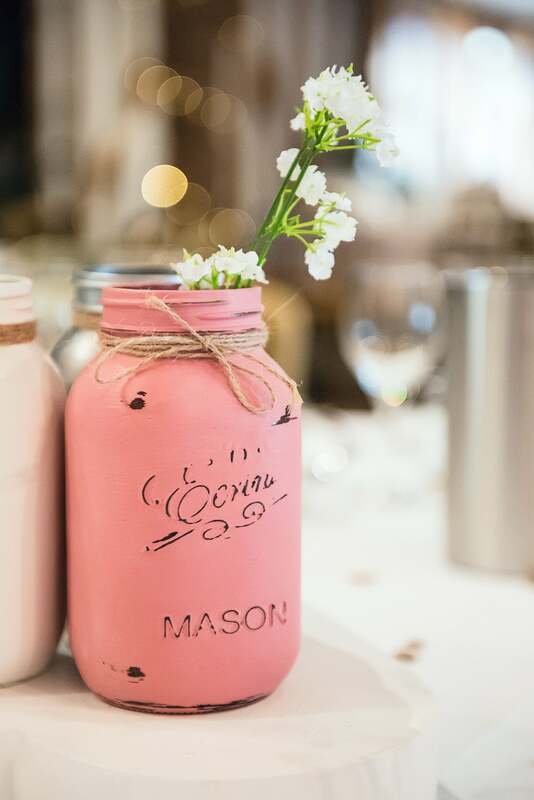 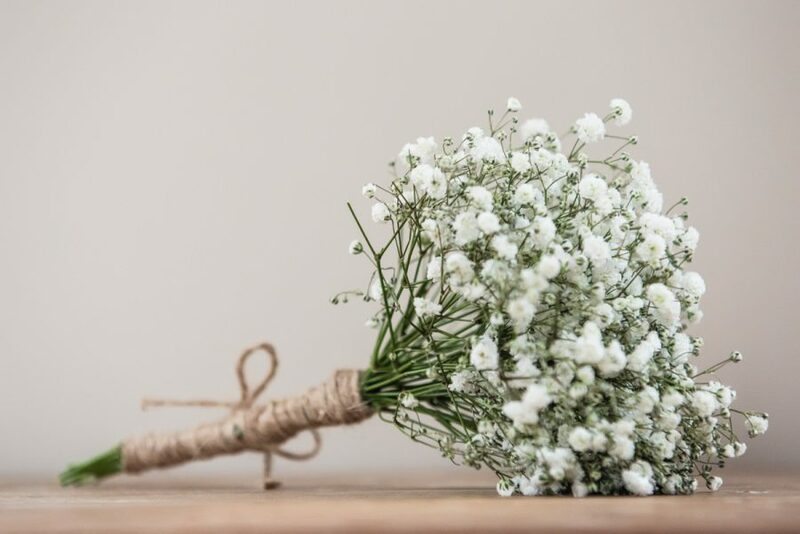 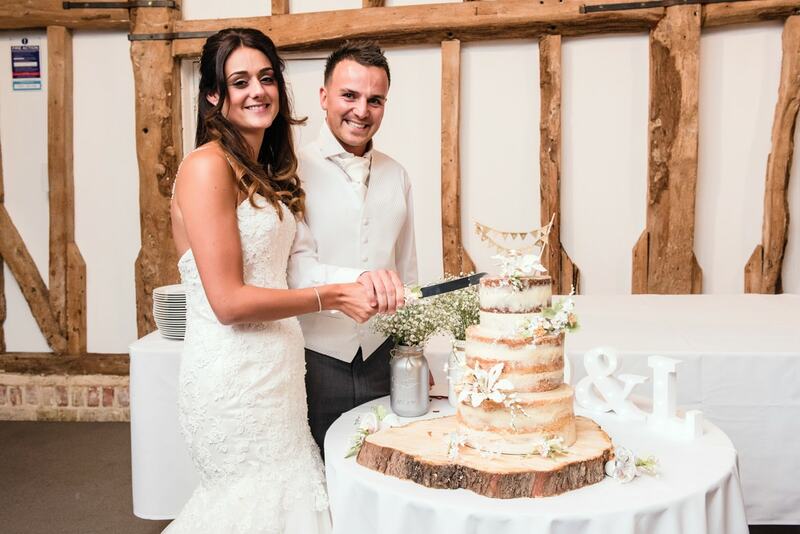 The wedding had a rustic feel with gypsophila bouquets wrapped in twine, beautiful pink mason jars and a creative table plane made from two crates which worked really well in the old rustic barn where the reception was held. 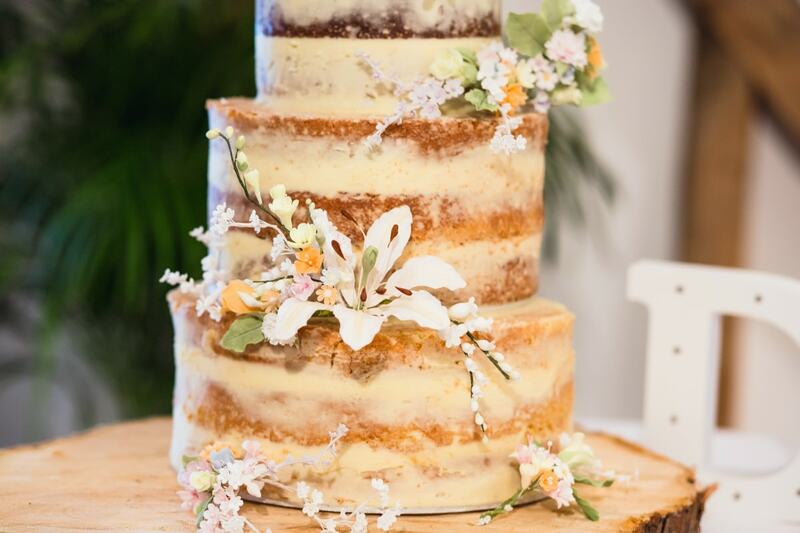 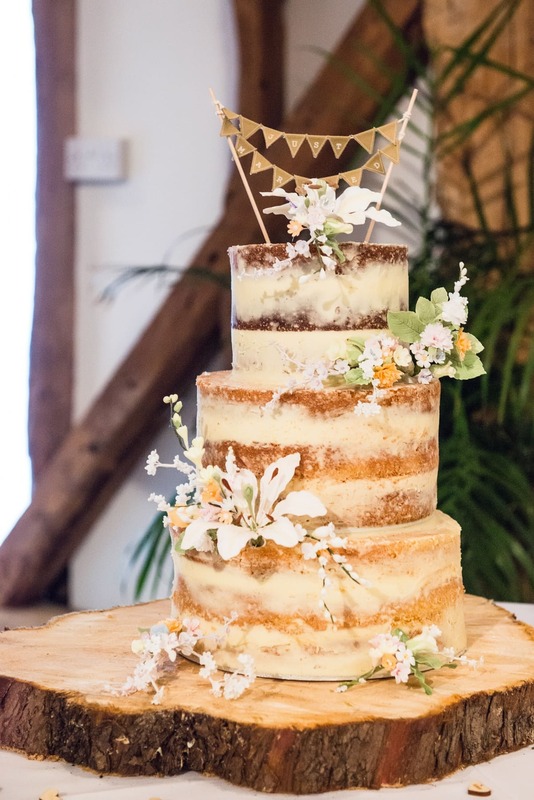 Leanne’s auntie had made delicate floral sprays from sugar paste to decorate the cake and Leanne’s mum helped to adorn the venue with pink bunting, balloons and candles. 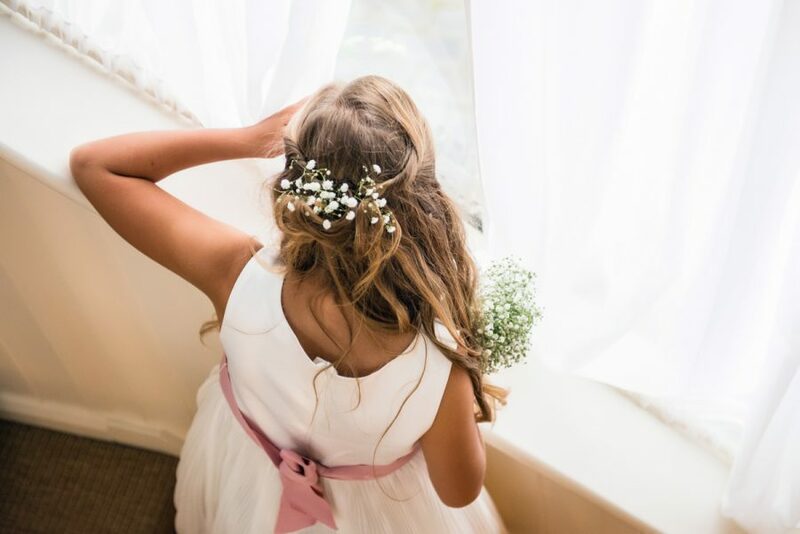 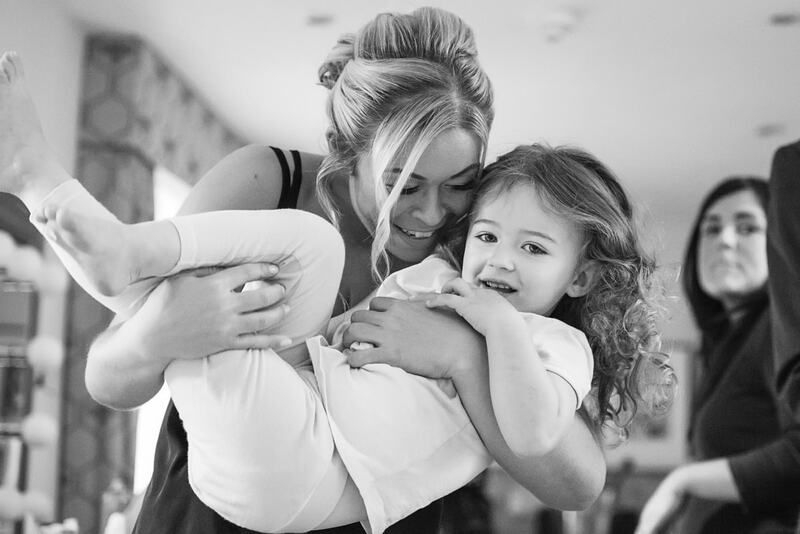 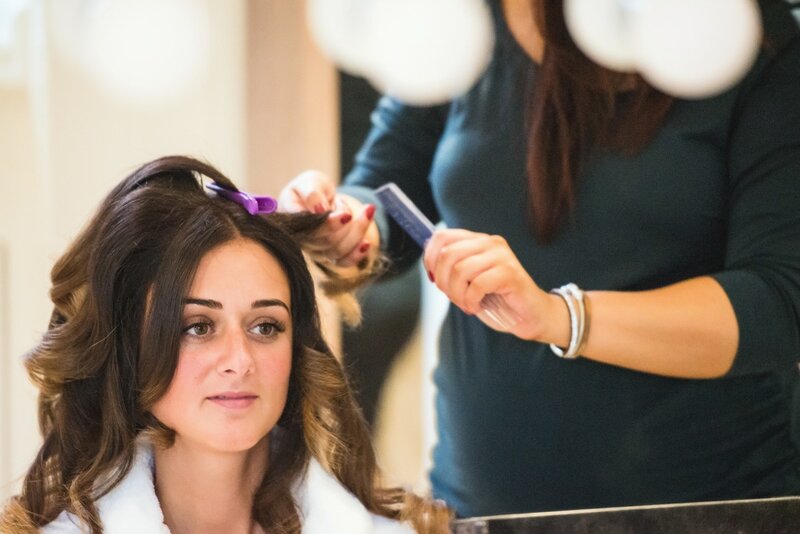 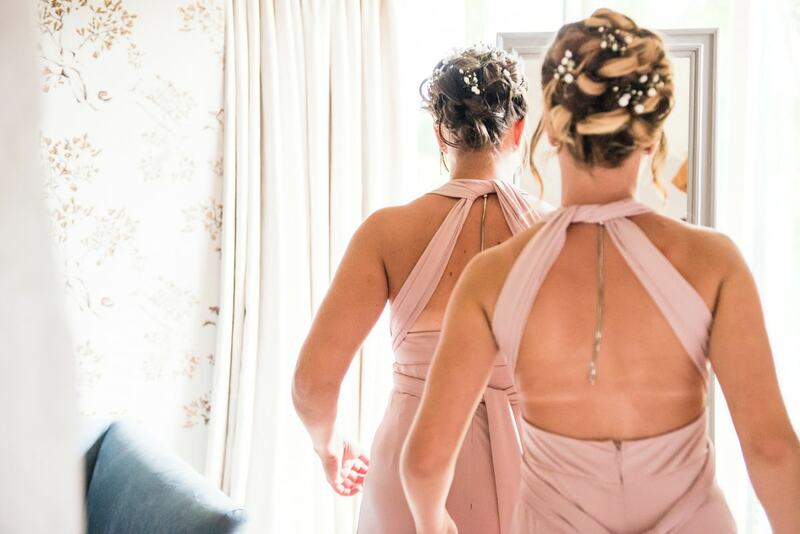 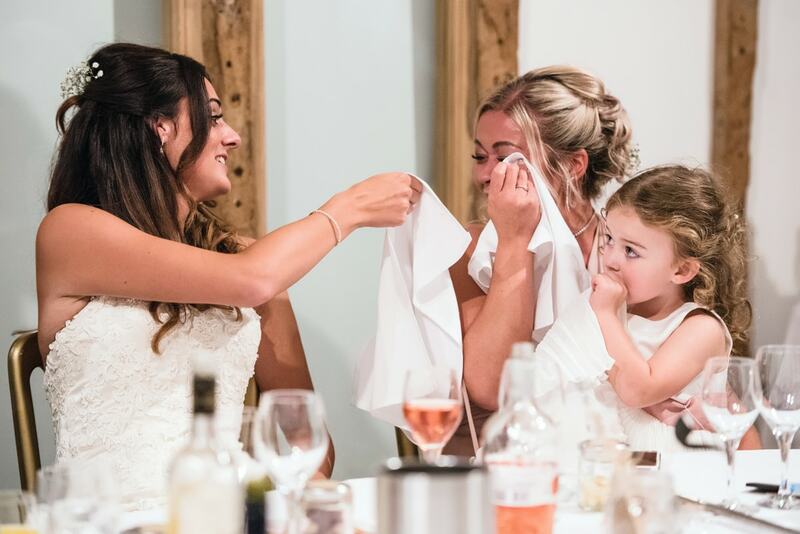 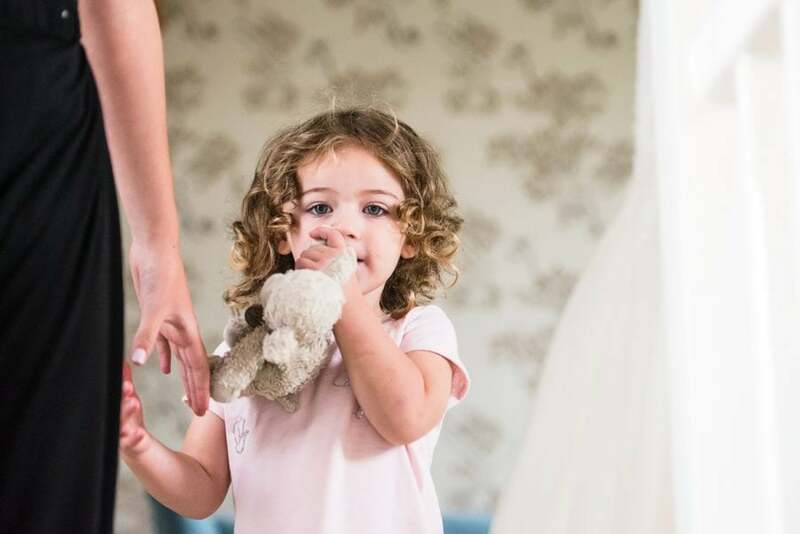 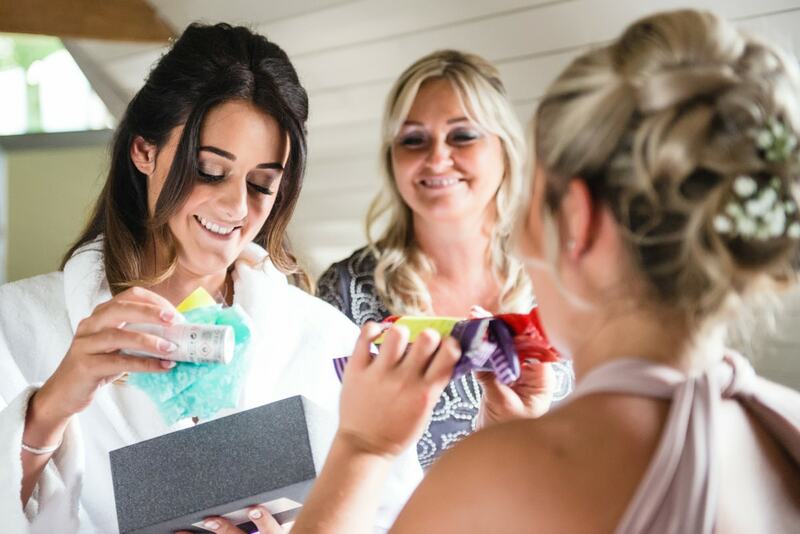 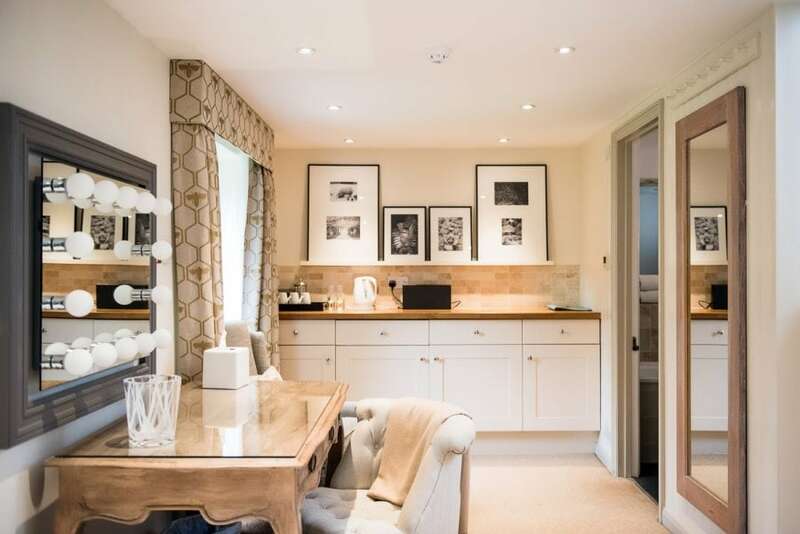 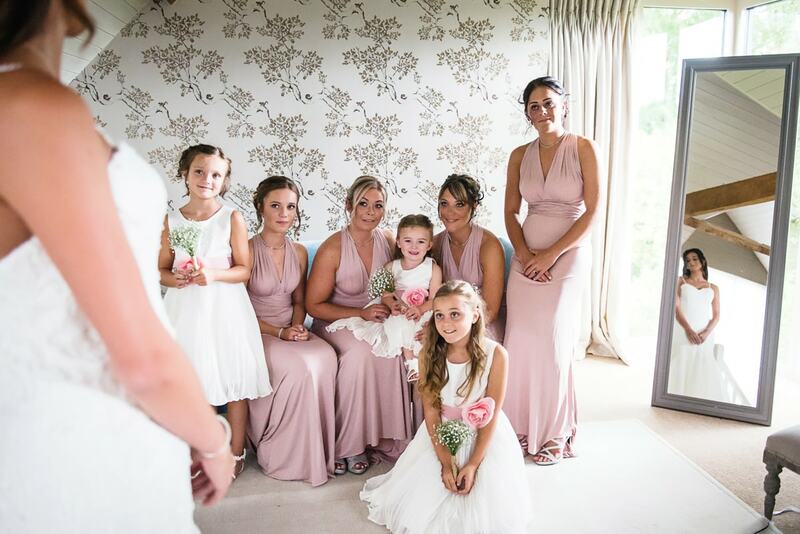 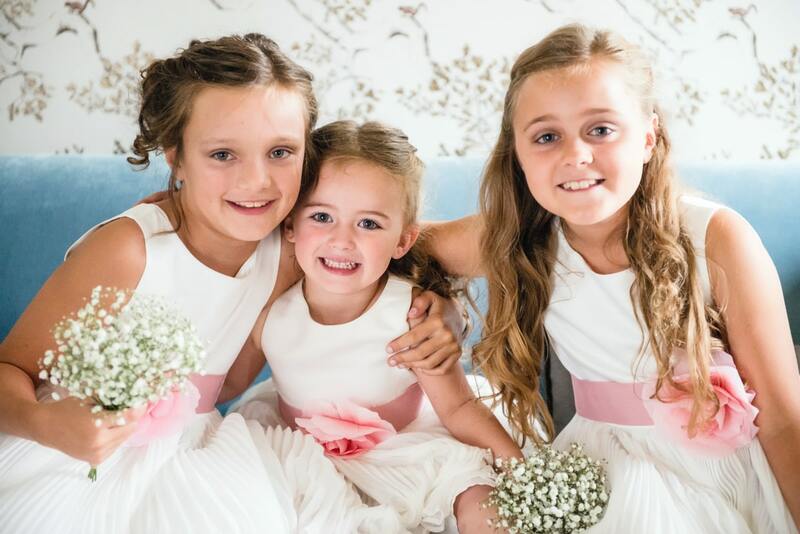 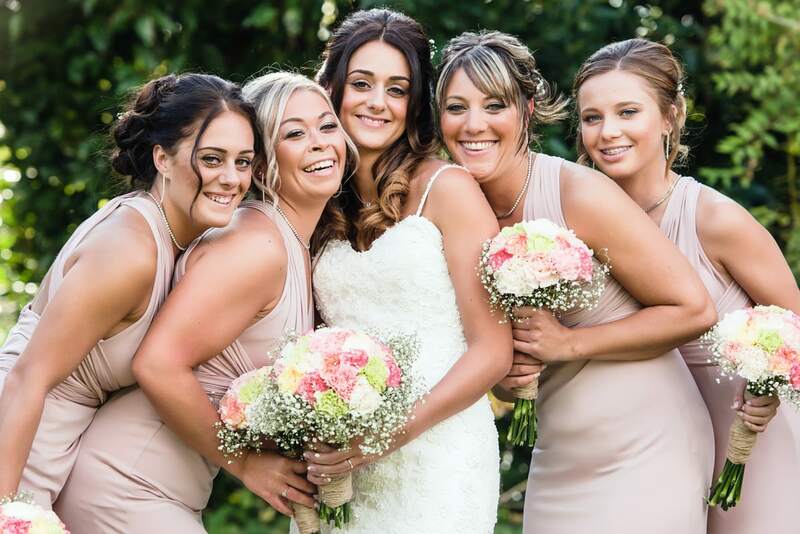 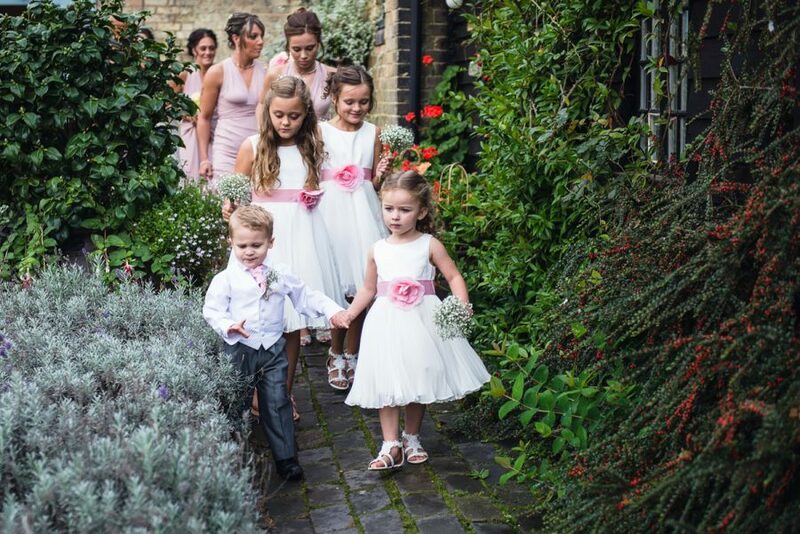 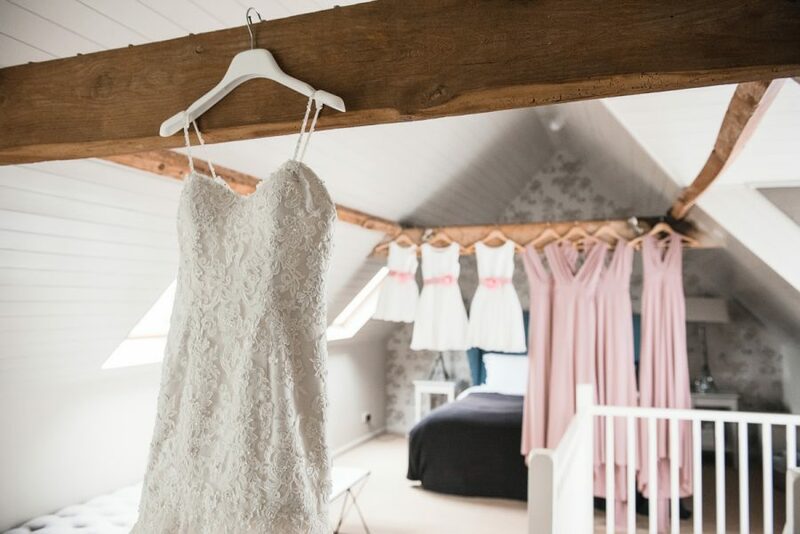 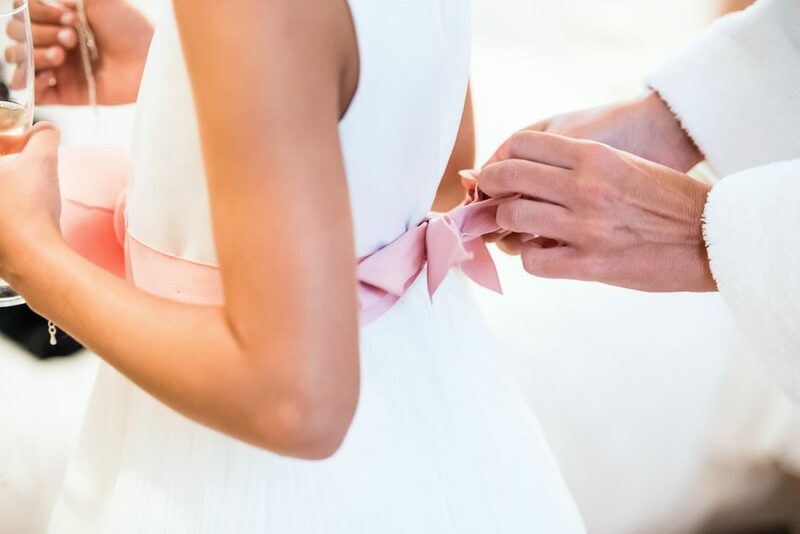 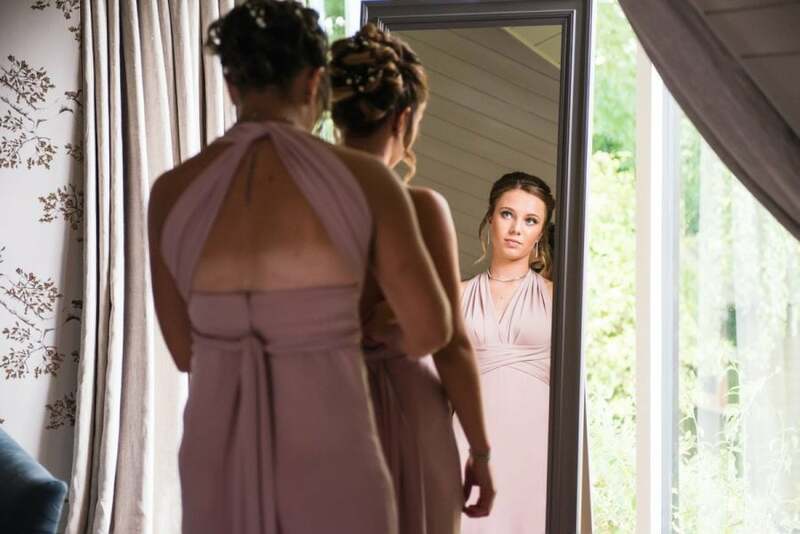 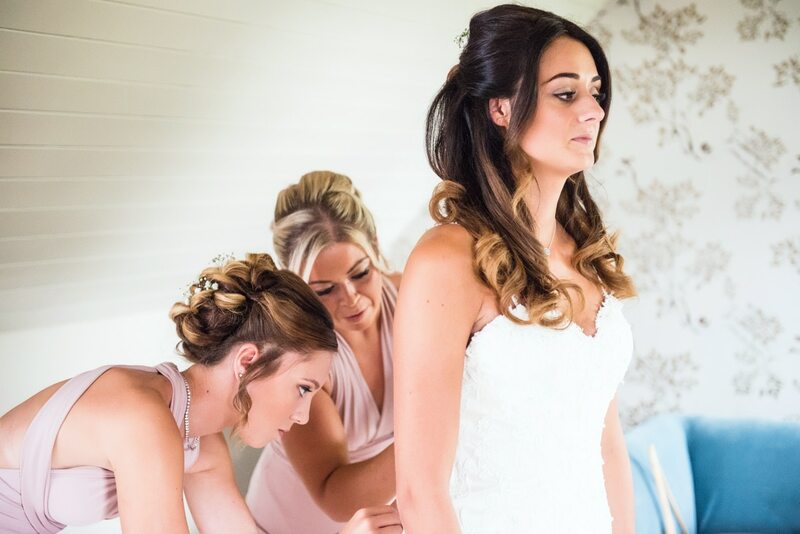 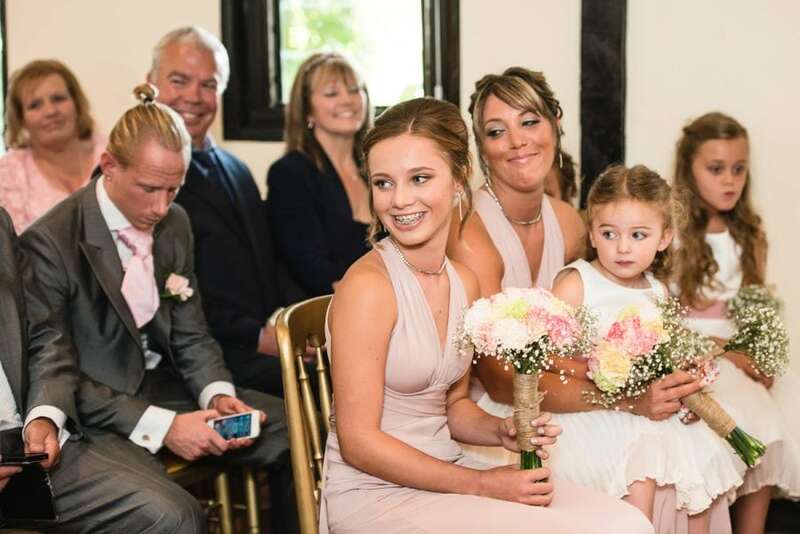 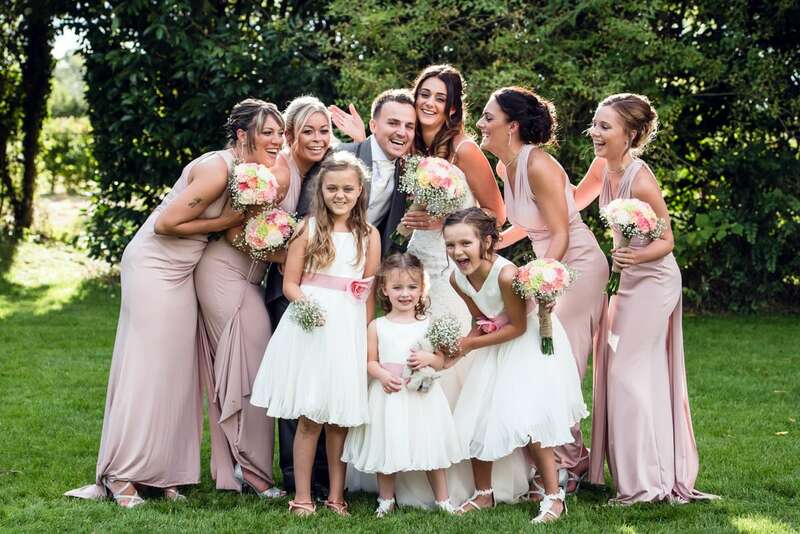 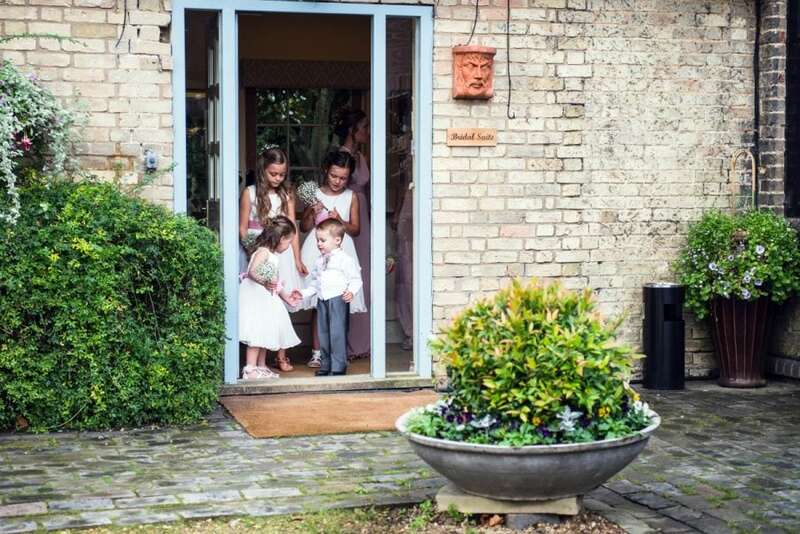 Leanne and her bridesmaids got ready in South Farm’s luxurious bridal suite along with her three gorgeous flower girls. 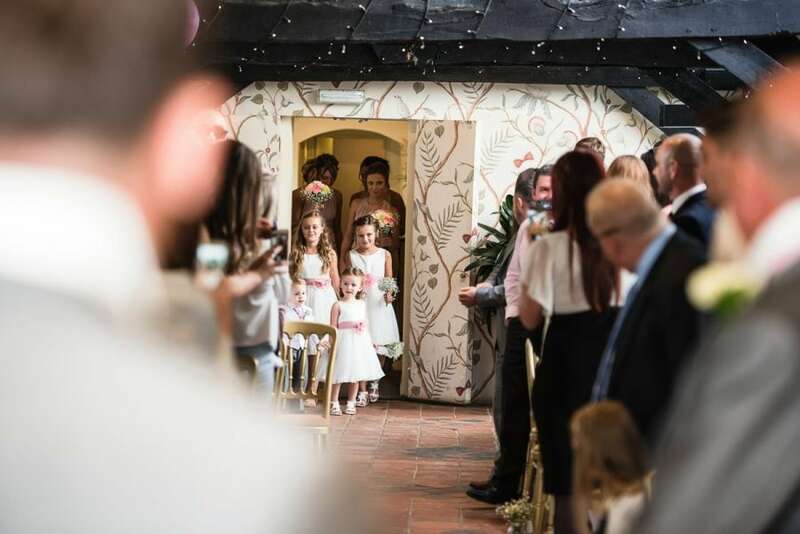 Due to the typical British weather the ceremony took place in The Old Dairy. 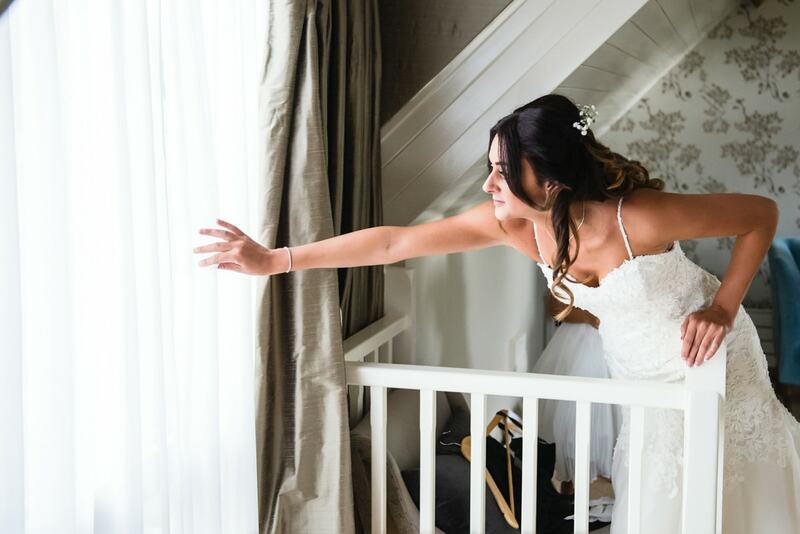 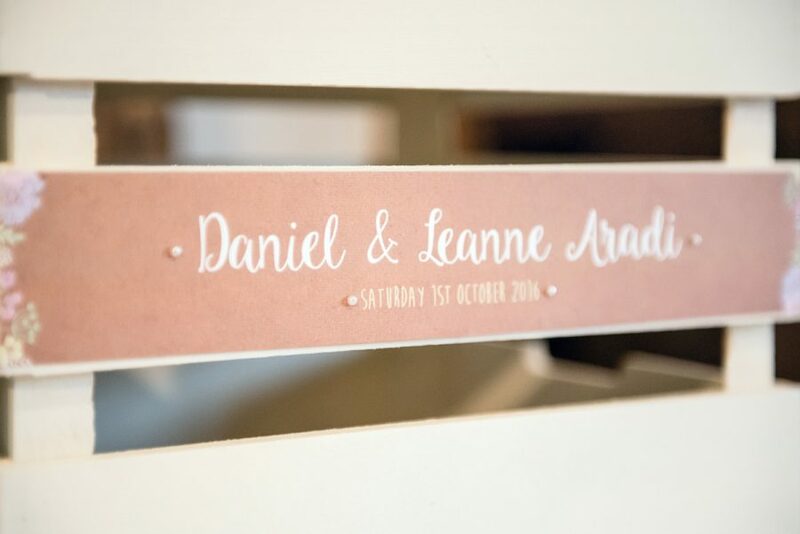 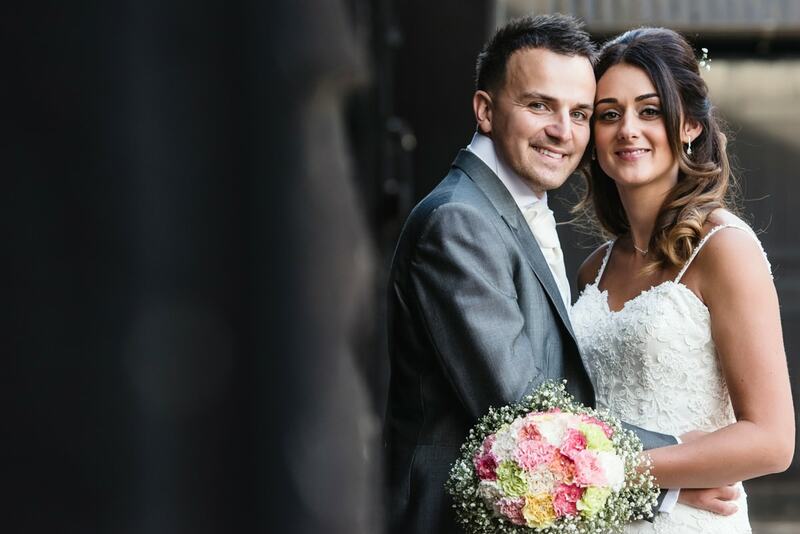 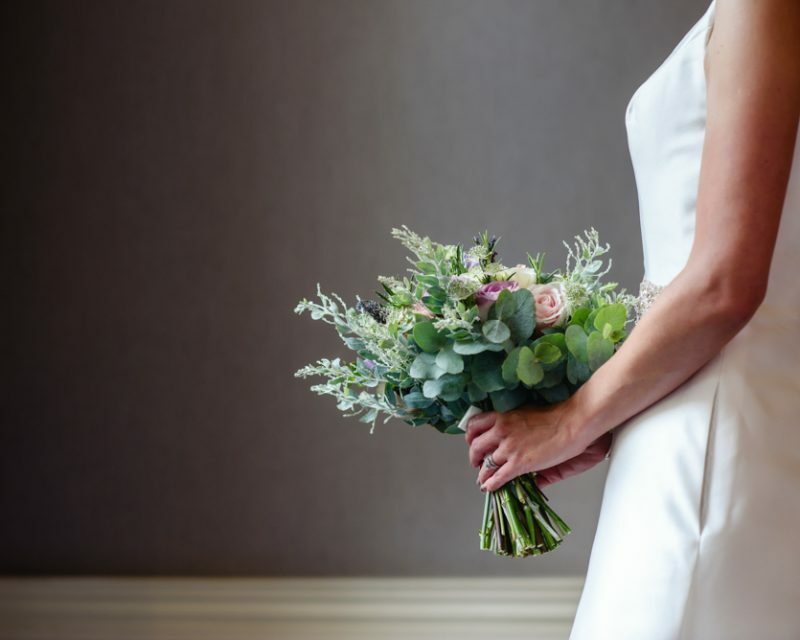 The room was bathed in natural light making it the perfect backdrop for Leanne and Daniel to elope. 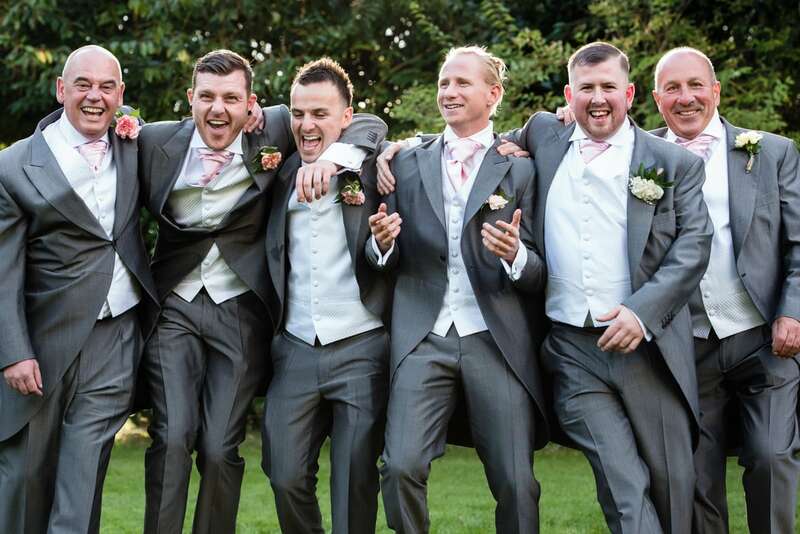 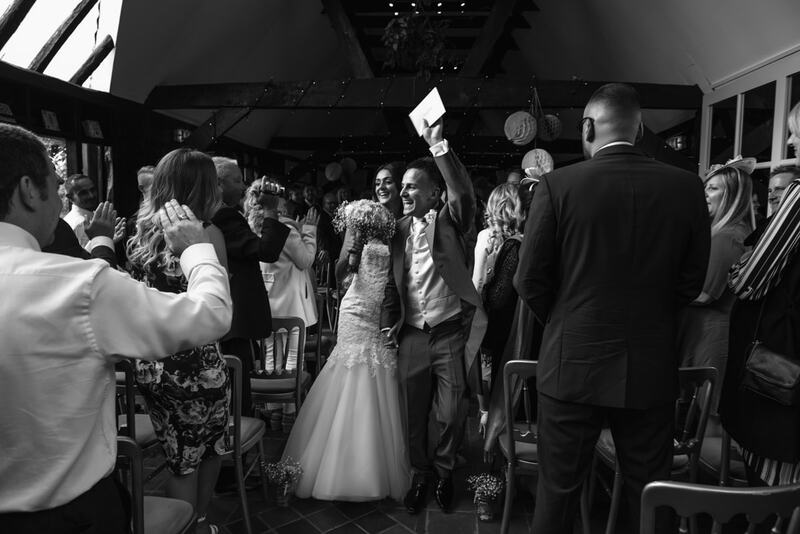 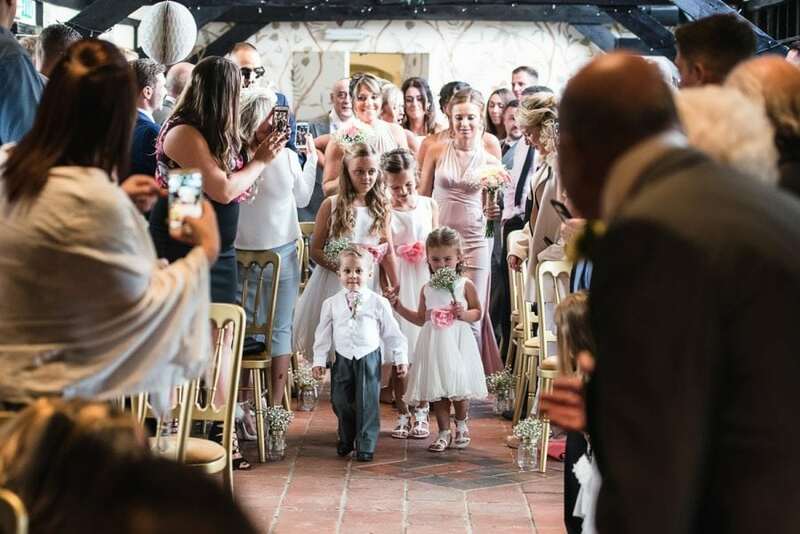 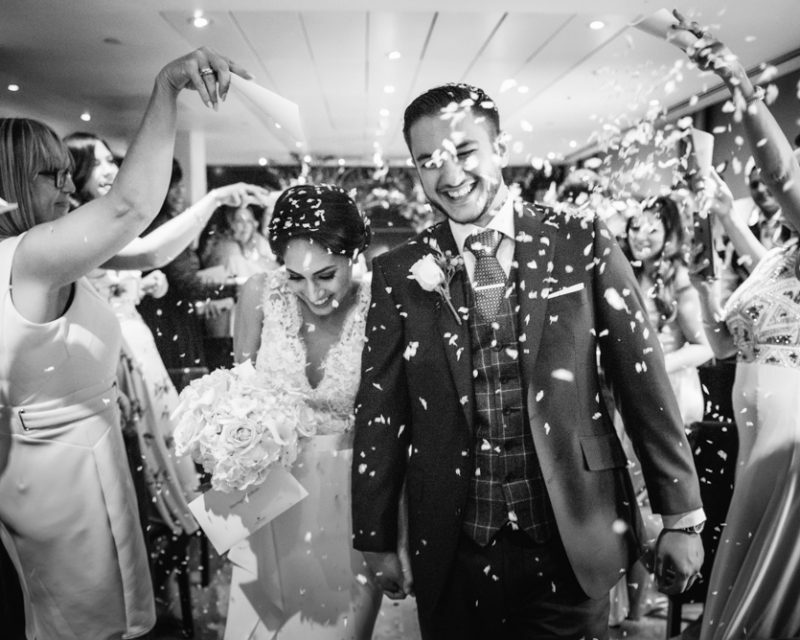 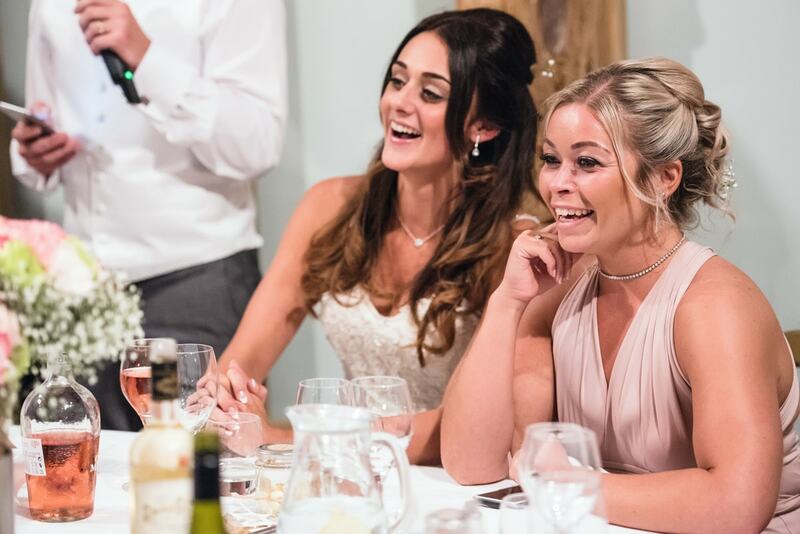 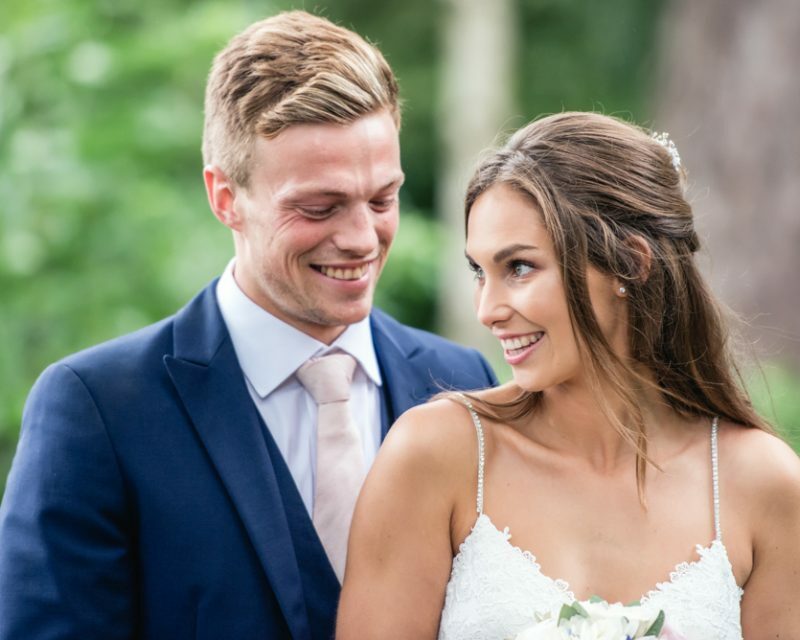 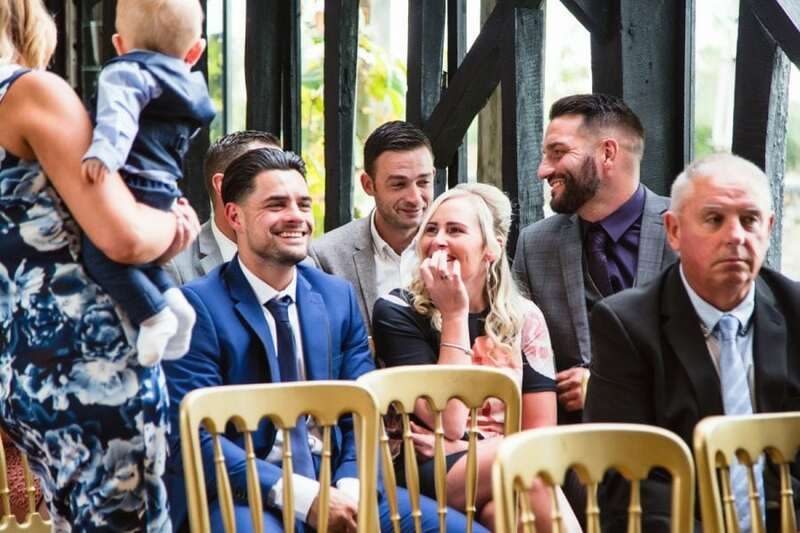 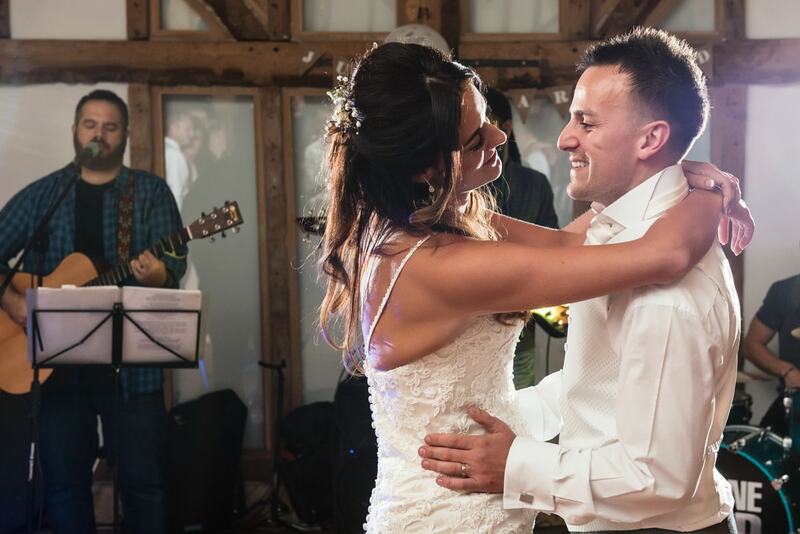 A beautiful day turned into a stunning evening with hilarious speeches, dancing and an incredible reggae band that got all the guests onto the dance floor…it was clearly going to be a good party! 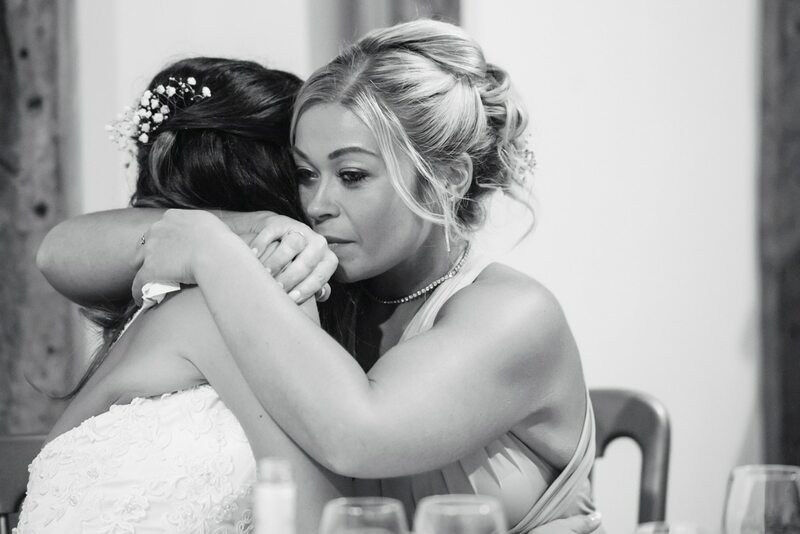 Thank you both for letting me play a part in your big day.